The Singapore Civil Defence Force (SCDF) said that it was alerted to the incident at around 3.35pm. 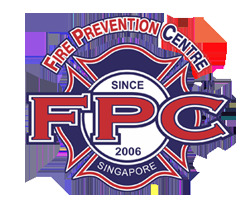 The fire was extinguished by a staff member from Microsoft, which has an office in the building before SCDF arrived on the scene. The staff member used four 2kg fire extinguishers to put out the fire. A spokesman for Mercatus Co-operative, which owns One Marina Boulevard building, told The Straits Times that the fire was discovered when an employee at Microsoft discovered smoke at around 3.20pm. Tenants were then safely evacuated, and the fire was extinguished at around 3.45pm. The Mercatus spokesman said the fire was a small one and had started on the 19th storey of the building, in Microsoft's office. The two people who were taken to the hospital were office employees in the building. They experienced shortness of breath and dizziness after walking down the stairs, the Mercatus spokesman said. The cause of fire is being investigated.